This is a Textile. It was manufactured by Momentum Group. It is dated 2013 and we acquired it in 2013. Its medium is 70% cotton, 30% solution-dyed nylon and its technique is jacquard woven. It is a part of the Textiles department. 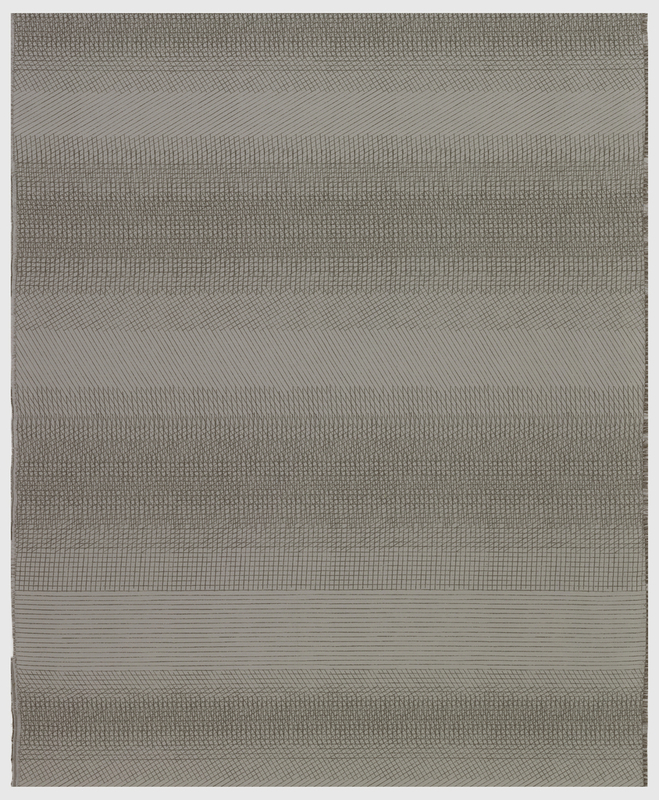 For Drawing Lines, a basket-weave ground was used to mimic the texture of the cotton canvas on which the original artwork was drawn, while an irregular insertion of the pattern wefts suggests the gritty texture of the graphite line work.